My various ramblings as I try to keep everyone upto date on the family. It's the beginning of Spring Break so must be time for another family campout. The weather was supposed to be warm, until we booked our campsites, oh well. 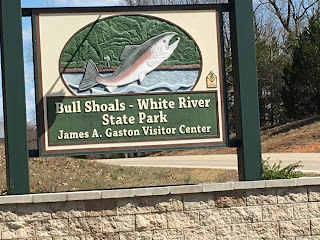 This year's trip was to Bull Shoals-White River State Park, lovely park, though a bit windy. I bet it's comfortable even in the middle of summer with the cool breeze blowing off of the White River. We spent Saturday touring the park. 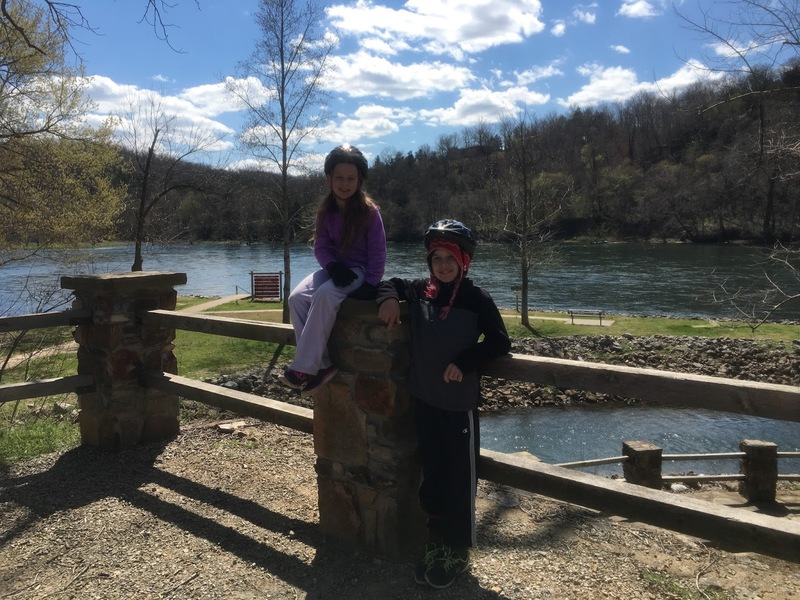 We tried our hand at Mountain Biking but do believe that trail is a bit above our experience and gear level. So we quickly abandoned that plan and just went for a hike instead. We also snagged the Park Cache. Sunday morning we finally got breakfast cooked, cars loaded, and on the road for another couple of parks in a circuitous trip home. 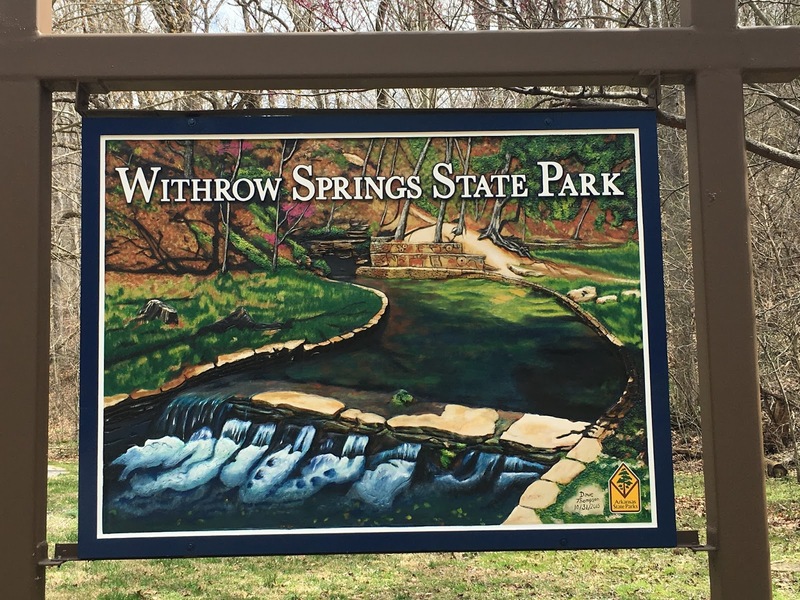 First up was Withrow Springs State Park. We had a cool, windy picnic lunch then headed off to retrieve the Park Cache. After a LONG walk through the woods we quickly grabbed that cache as well. Emily and I picked up an extra cache while we were on the way back (she didn't make it all the way to the Park Cache). A conversation ensued that some of the caches seem to be in out of the way places when they should be close to the Park's "main feature". 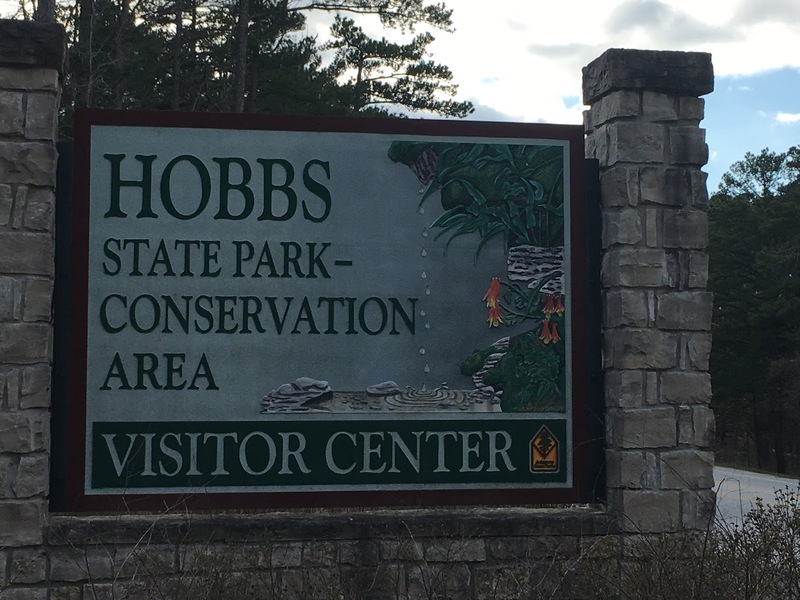 Next up was Hobbs State Park / Conservation Area. During that drive (and close to the destination) the GPS app on the phone decided it liked listening to our book on tape too much to shout out directions. Once we got turned around all was well. Not such good luck getting that cache. I'm 99% sure where it's supposed to be, but it wasn't there :(. 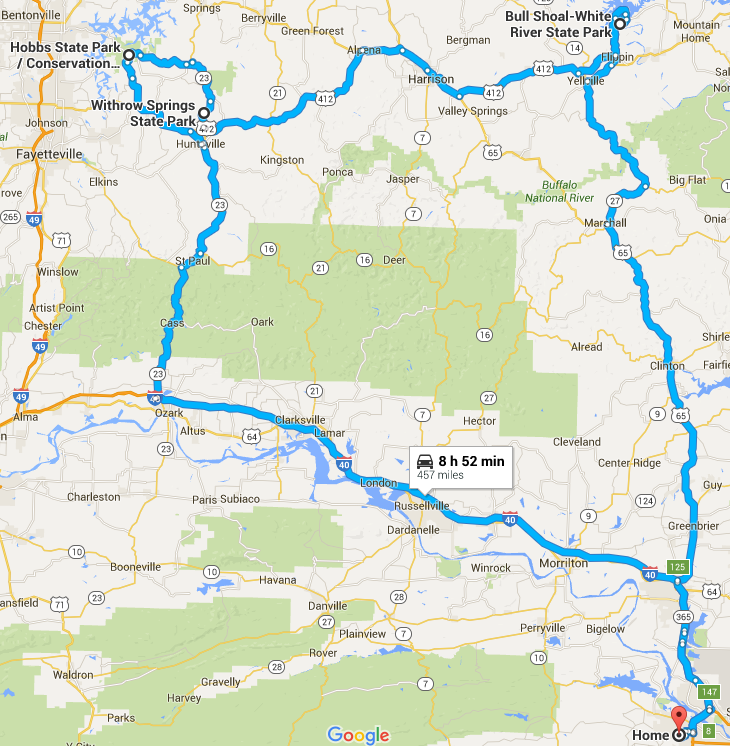 We had hopes of snagging 1 last park on the way home but it took us too long to get out of camp to make it practical. It was kind of a pipe dream on my part anyway to grab it. 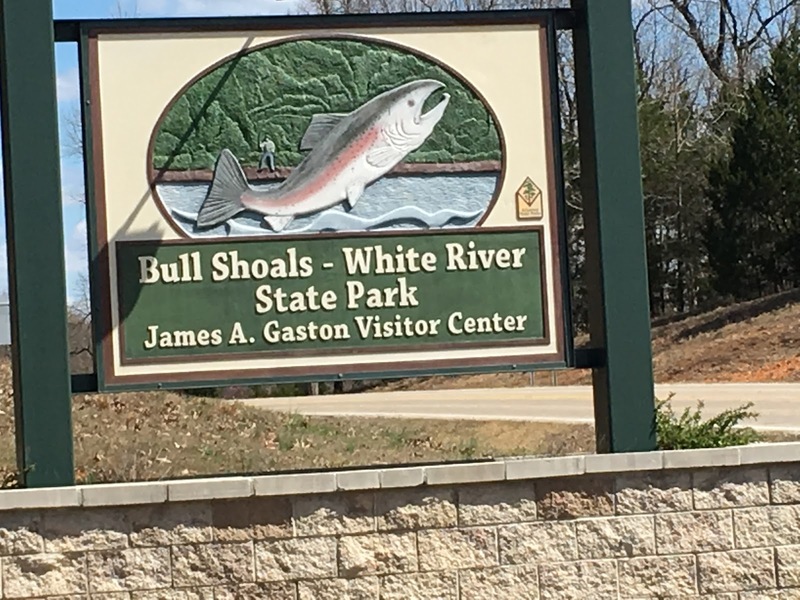 Oh well, it's just off of I-40, we'er through there enough that one day we'll go by a) when the visitor center is still open, b) when we're not in a hurry to get somewhere. 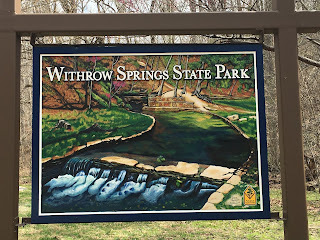 Any way, here's some Park signs from the trip, a map of our travels, and an updated map of what we've found. Jenny, David, Braden, and Cameron B.